Here's the link to the broadcast. Paradise Palms on Fox 5 news. Paradise Palms gets more press. This time in the Las Vegas Weekly. 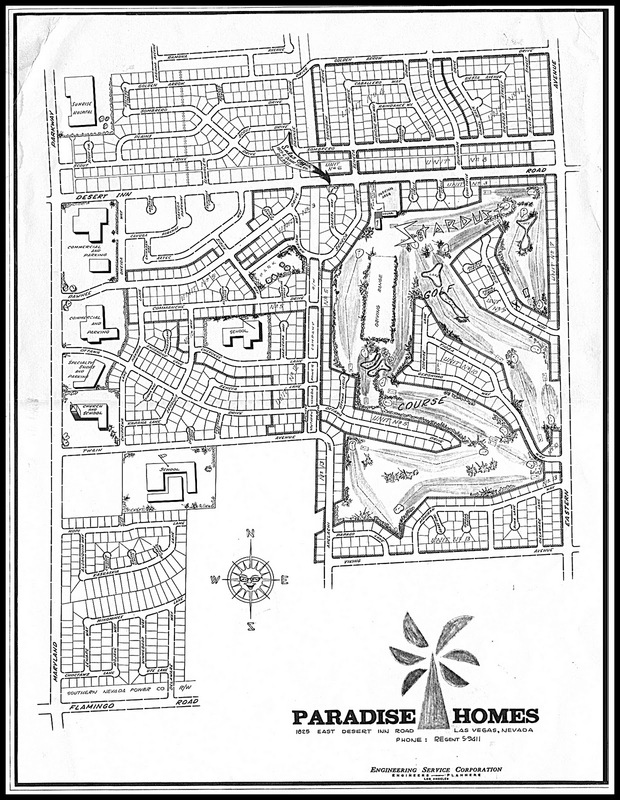 In the 1960s a swank residential enclave, Paradise Palms, popped up with low-slung modern homes that would rival those in Palm Springs and offer the architectural amenities defining the home of the future. Designed by Southern California architects Dan Palmer and William Krisel, the homes were part of developer Irwin Molasky’s grand plan to create a stylish neighborhood away from Downtown and within walking distance of the Boulevard Mall (which Molasky also developed). It drew the movers and shakers of the era—entertainers, mobsters, designers, architects and casino executives—and despite a few shoddy enhancements over the years, many of the homes, built on the Stardust Golf Course, maintain their original mid-mod features, including spacious interiors, indoor/outdoor living, flat or folded plate roof lines, stone screens and clerestory windows. Lynn Zook, historian for the Friends of Classic Las Vegas, calls Paradise Palms a “wonderful little pocket of the midcentury modern era” that “somehow, after all of these years, survived.” One of its homes was even featured in the movie Casino. Given all of this, a group of Paradise Palm residents wants the neighborhood to have a historical designation, something to educate the community, but has hit a snag: the neighborhood is in unincorporated Clark County and, unlike the city, the county has no historical preservation program. Clay Heximer, who’s been leading the effort and even created a Paradise Palms website, has talked with local and state preservation groups, to no avail. He may be in luck, however. County Commissioner Chris Giunchigliani, who has tried to change the ordinance for two years, says Nancy Lipski, director of the Department of Comprehensive Planning, is writing an ordinance that would establish a historical designation program. Giunchigliani hopes to have it passed by the end of March.